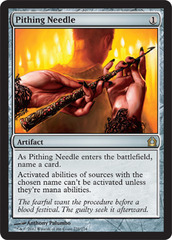 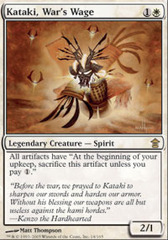 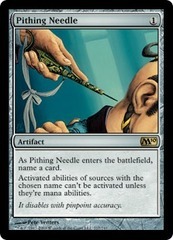 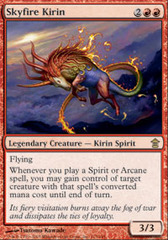 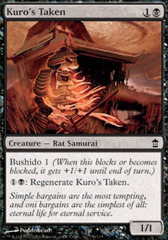 Card Text: As Pithing Needle comes into play, name a card. 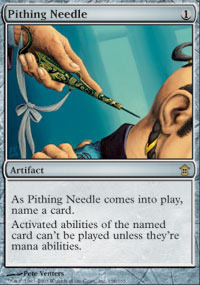 Activated abilities of permanents with that name can't be played unless they're mana abilities. 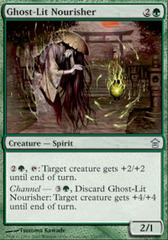 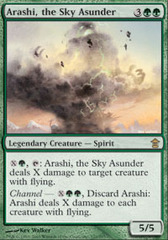 Activated abilities of cards with that name that aren't in play can't be played unless they're mana abilities.